The original Pro Ice cold therapy product. It outperforms any cold pack on the market. Youth model of the Pro Ice 200. Perfect for younger players. 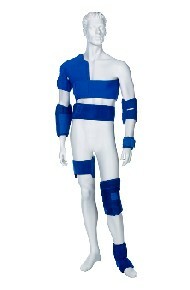 The Pro Ice 900 Team Ice Wrap Kit includes everything needed for extended field cold therapy use by a team. This ice pack was designed to give the wrist complete ice coverage. Pro Ice created a cooler for all of your Pro Ice/non-Pro Ice needs. 8 piece athletic trainers kit - Covers everything - Shoulder, Elbow, Back, Knee, Ankle, Wrist, Universal cooler.